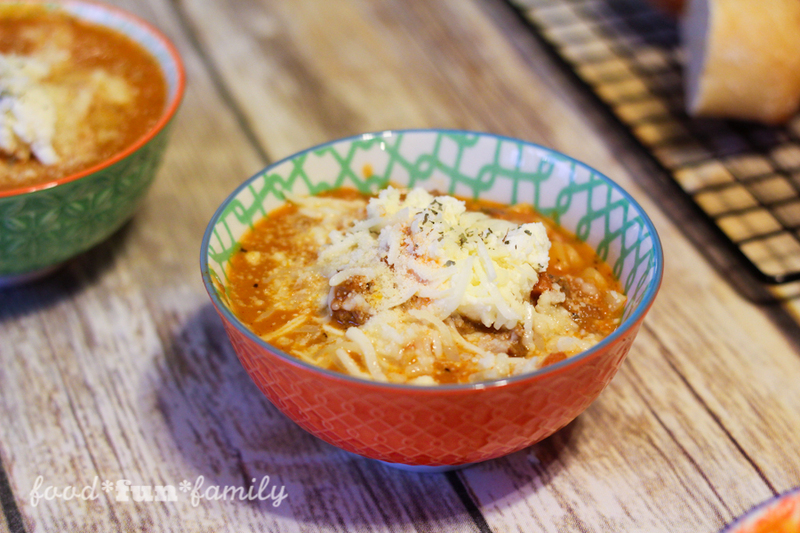 Last month, I shared a new family-friendly recipe using RAGU Homestyle Thick and Hearty Roasted Garlic Sauce (seriously, if you haven’t see this recipe for Chicken Parmesan Meatballs, you really should go save it now!). But we LOVE eating lasagna – the sauce, the cheese, the noodles – at our house, so I really wanted to figure out a way to have the flavors of lasagna without all the work. I totally nailed it with this soup. 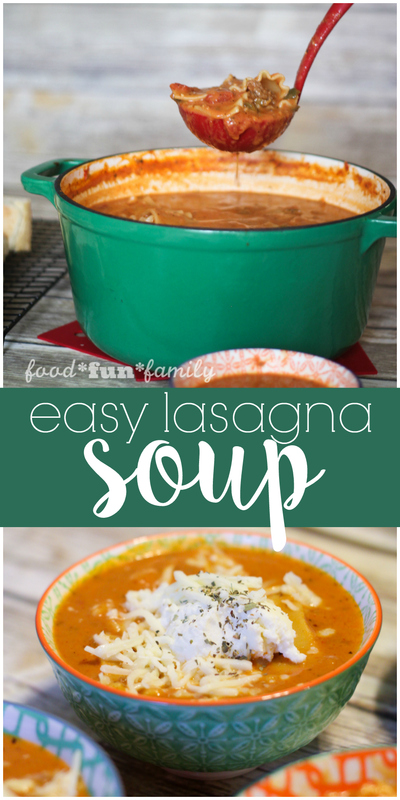 It was so easy to make, and everyone loved having the lasagna noodles already cut up – so much easier to make AND eat, I promise! 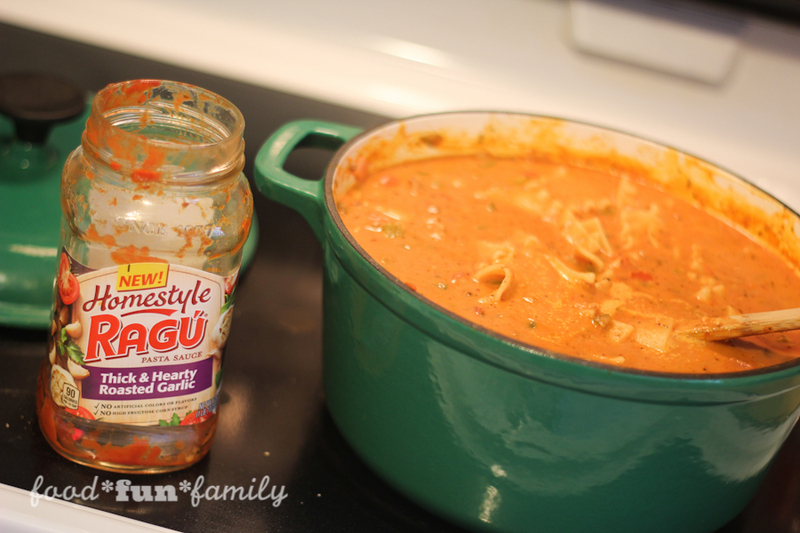 The reason tonight’s dinner was so easy and tasty was RAGÚ® Homestyle sauce. 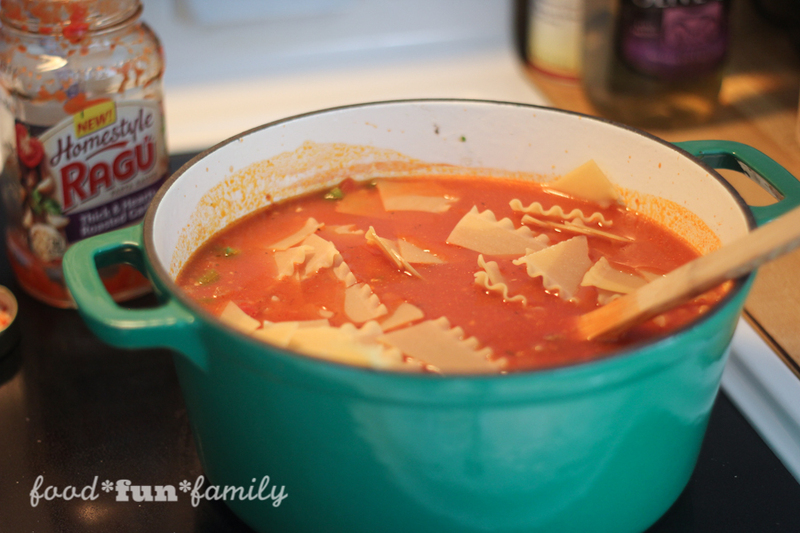 It is RAGÚ’s thickest sauce, which was perfect for our thick and hearty lasagna soup. RAGÚ® peels, chops and simmers each ingredient and uses a special blend of herbs (basil, fennel, oregano and black pepper) to layer and build the flavor. Plus, they don’t use artificial flavors, artificial colors or high fructose corn syrup. Brown ground beef, diced onion, and garlic in a large pot (I used a cast iron pot), Drain any excess oil. Add RAGU Homestyle sauce, chicken broth, tomatoes, tomato paste, and spices to the cooked meat mixture. 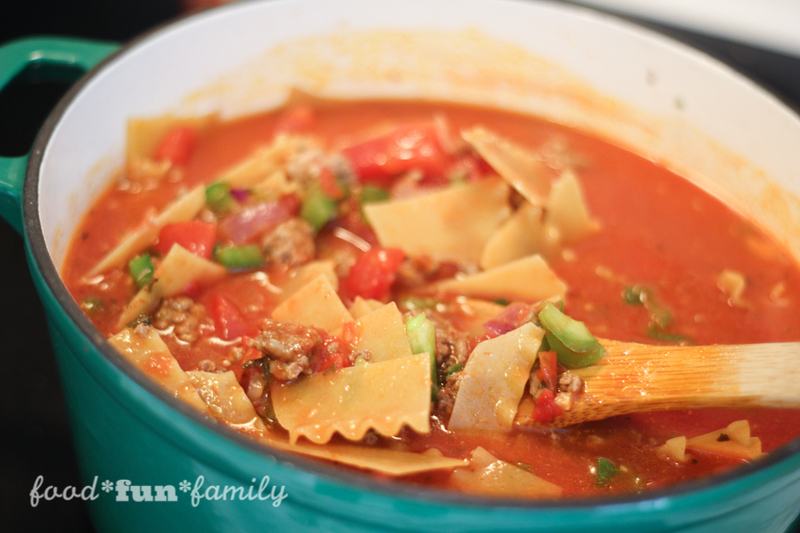 Stir in broken lasagna noodles. Heat to boiling, then reduce temperature to low, cover, and simmer for 20 minutes. Add 1 cup cream, stir, and heat for an additional 5-10 minutes. 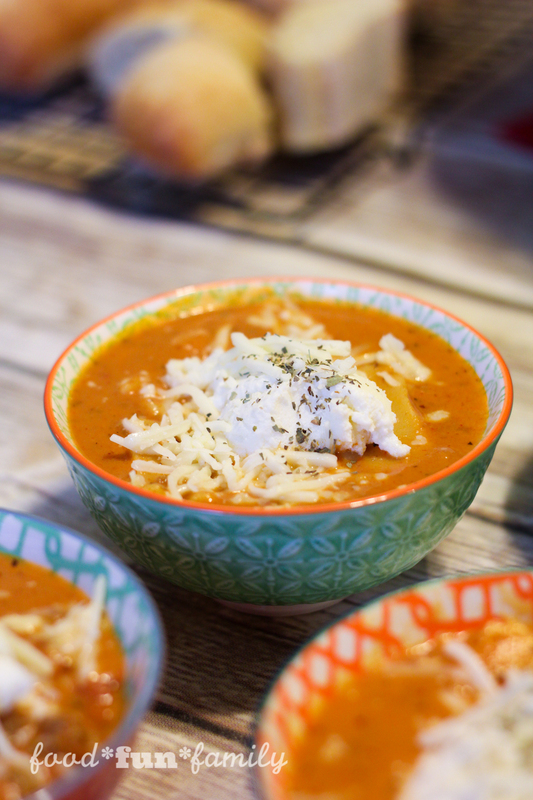 To serve, top each bowl of soup with a scoop of ricotta cheese, and sprinkle with mozzarella, Parmesan, and basil. If you love cheese like we do, then take our lead and be generous with the cheese you add to your soup! You can’t go wrong by loading it with these three yummy cheeses! 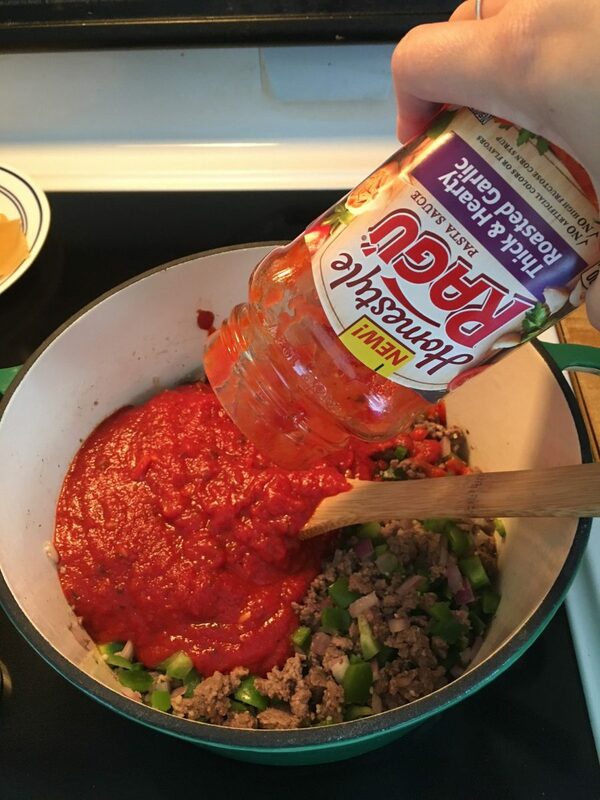 What is your favorite way to use RAGÚ® Homestyle sauce? And what is your favorite flavor? 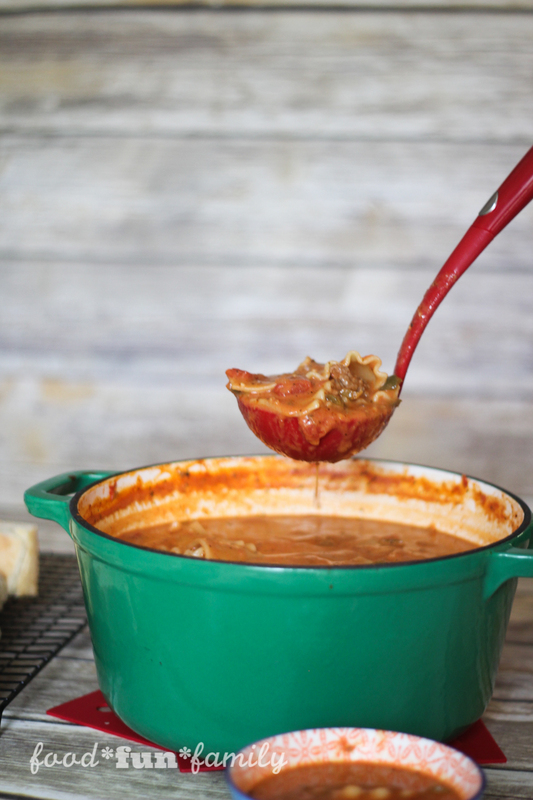 Sometimes a good, hearty traditional sauce hits the spot! 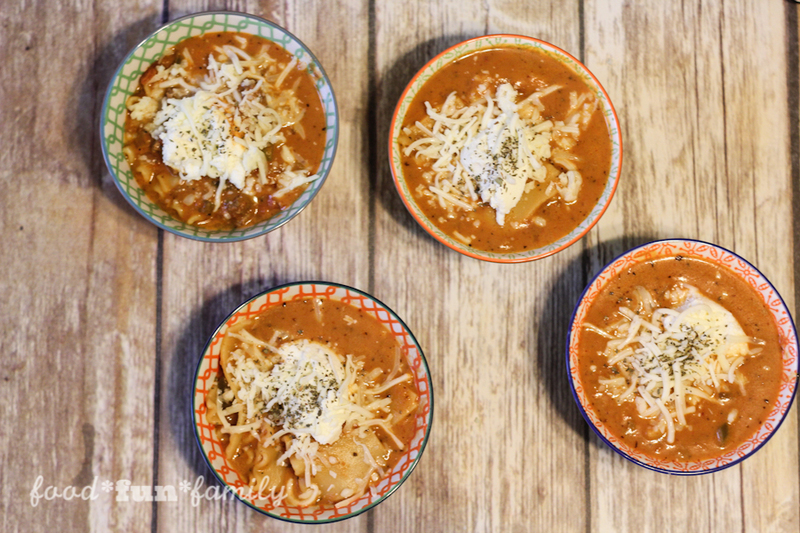 Want MORE delicious recipes with RAGÚ®? 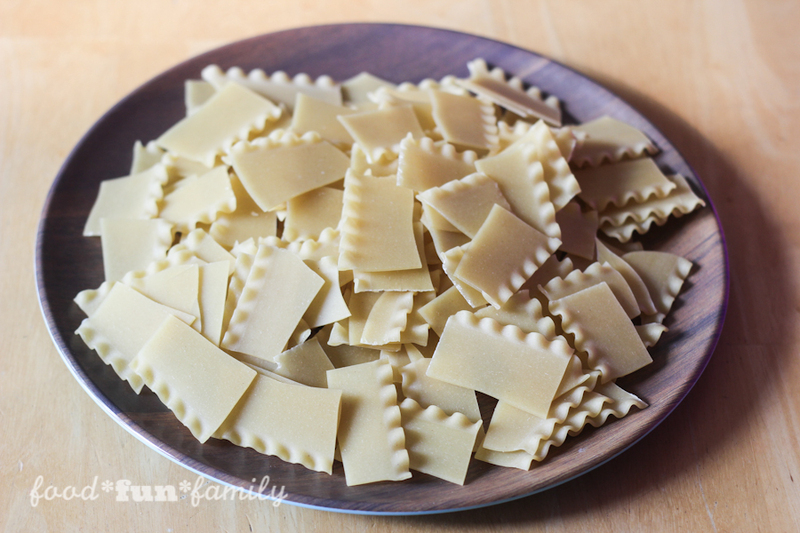 You’ve got to check out the recipe section HERE for a ton of family-friendly homestyle dishes. Those Ragu Homestyle sauces are delicious! We’re so glad you party with us at Merry Monday. We always look forward to your projects. 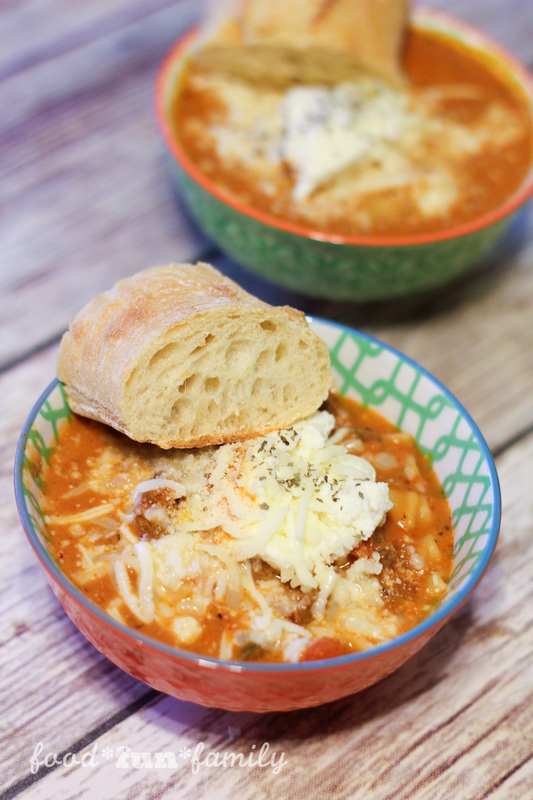 I am totally craving a big bowl of this soup right now! Looks so comforting!